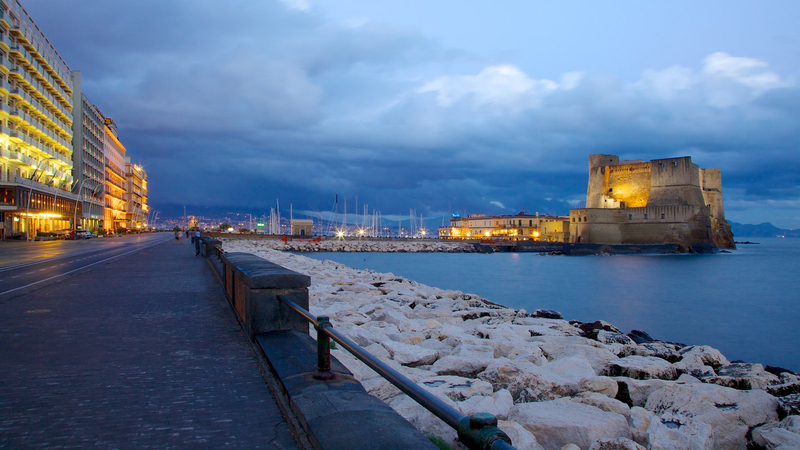 Early booking in September in Naples is strongly recommended. A number of rooms has been reserved for IASOC attendees by the Organizing Committee at Hotel Royal Continental (the venue for the Farewell Party). Rooms will be assigned on a first-come, first-served basis. The Hotel Secretariat will deal with such reservations (Anna Varriale a.varriale@royalgroup.it). All prices are per room and per night and are in Euros including VAT (touristic tax excluded). The deadline for this service is June 29. Participants who are planning to stay at the Hotel Regina Isabella are kindly requested to enter their reservation prior to July, 31. La Reginella is a discreet and sheltered hotel situated in one of the most elegant centres on the island, where unrivalled hospitality and atmosphere have been offered to personalities from the show business and the international jet set since the early 1950s when they began visiting Lacco Ameno. The pastel colours of the furnishings and the Neapolitan majolica tiles decorated by hand, combine to create an elegant, fresh and enjoyable ambience. The large garden, with its lush green subtropical plants, flowers and giant strelizias, is the setting for the outdoor pools, each at a different temperature, and also serves as the “entrance hall” to the indoor one. An al fresco restaurant, a bar and the tennis court are located along the walkways of this luxuriant garden. The Albergo Terme San Lorenzo is located at 55 meters above sea level, on the western slope that leads from Lacco Ameno in Forio d’Ischia is 800 m from the center of Lacco Ameno, and is about a 7-minute walk from the Bay of San Montano. The property boasts wonderful views, overlooking both the town of Lacco Ameno, both to the beautiful beach of San Montano, while behind him dominates the scenery the roads of the island. San Montano Bay with its beautiful sandy beach and Negombo Spa Park are easily accessible on foot from a pathway from the hotel (350m). The resort is comprised of 9 white-washed villas typical of Ischia Island architecture, set splendidly in the resort’s 2 acre gardens, standing out against lush Mediterranean greenery of native plants and flowers. The Albergo Terme Villa Svizzera, was built at the beginning of the 20th century as a private villa and in the 1940s it was converted into a hotel, one of the first ones on the island. It was in Lacco Lacco Ameno and Casamicciola Terme that tourists first came in those years, attracted not only by the natural beauty and the colours of the island, but also by the properties of the thermal waters of the area as they were considered to be amongst the most beneficial. Moorish architecture and furnishings in the 18 th -century Venetian style for the Hotel Terme Don Pepe, which rises 200 metres away from the see and from the town centre of Lacco Ameno. It is made up of a main body and three small cottages with garden and was restored in 2005. The Solarium-Terrace with swimming-pool and equipped garden make our guests’ stay pleasant and relaxing. Rooms are provided with private bathroom, satellite TV, hairdryer, direct-dial phone, minibar, air conditioning and safe. A holiday on the Island of thermal baths in the midst of sun, sea and infinite wellbeing. The green island has a glorious thermal history which began with the Greeks and continues today in this land of myth and legend. The pure energy sparkle of the Ischian spring waters illuminates the health and beauty centre at the Hotel Principe in Lacco Ameno, which draws upon one of the most celebrated natural springs on Ischia. Beauty treatments, relaxation, remise en forme, the pleasure of being well, of being more beautiful. A holiday on Ischia can give you a kick start which will bear the test of time – all you need to do is choose the right place, like this large hotel in the heart of the island, which brings together the treasure of the thermal baths, perfect hospitality, absolute comfort, rooms and environments that are beautiful to live in at all times, the pleasure of days spent in the sun and by the sea, the intense flavours of Mediterranean cuisine. The Hotel Principe at Lacco Ameno. A journey into wellbeing.